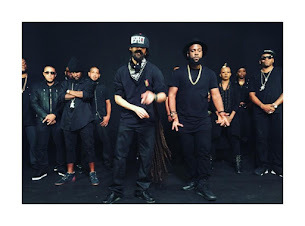 Sean Paul continues to put an entertaining spin on charity. The Jamaican superstar delivered a rousing performance at the Chain of Hope Gala Ball hosted at the Grosvenor House on Park Lane, London. Operating under the slogan “mending little hearts”, the charity seeks to revolutionize the care offered to children with heart defects. Sean Paul was the headline artiste for this year’s gala and flew into London to deliver an electrifying performance. Parts of his vibrant performance were posted by former Made in Chelsea star Ashley James on Instagram and highlighted by the Daily Mail. The video showed live footage of Saul Paul setting the stage ablaze with his timeless hit single Gimme the Light. Days later, he was back in his home country for JAMATHON, a benefit concert geared towards raising money for the hurricane-ravaged Lesser Antilles islands. Here, Sean Paul shared the stage with Chi-Ching Ching who performed crowd favourites Breadfruit and Rock the World which will be released under Sean Paul’s Dutty Rock Label on Friday, December 15. It was a special occasion which allowed artistes like Sean Paul to extend kindness and support to Caribbean neighbours in dire need. No doubt, the Grammy award-winning artiste is passionate about more than just music. Philanthropy is not new to the multi-platinum recording artiste who donated JM$1 million to the Shaggy and Friends Charity in 2016. In the same year, Sean Paul donated over JM$1.5 million to Alpha Institute which now houses the Alpha Boys School Radio studio, and training rooms under the Music Technology Department. Sean Paul jumped at the opportunity to support the Chain of Hope charity as it was the perfect occasion to perform for a more than worthy cause. Chain of Hope posits that 1 child in every 100 is born with a heart defect. Most of these defects can be corrected by operations which are performed as a routine in developed countries, however, it is not so for developing countries like Jamaica. If these defects go untreated, the result is suffering and premature death. This affects a large number of children around the world including those in Jamaica, land we love. Chain of Hope is a charity that links experts together around the world to bring life-saving heart treatments to children in developing countries such as Jamaica since 1996. Last year the charity raised a phenomenal total of £2.6 million which will provide aid for children with heart defects from Syria to Jamaica. With his country at the forefront of his mind, Sean Paul proved that true success does not lie in affluence but in altruism.